2018 tennis season finished with a bang with the Headstone Tennis Club Awards evening on Friday 12 October! 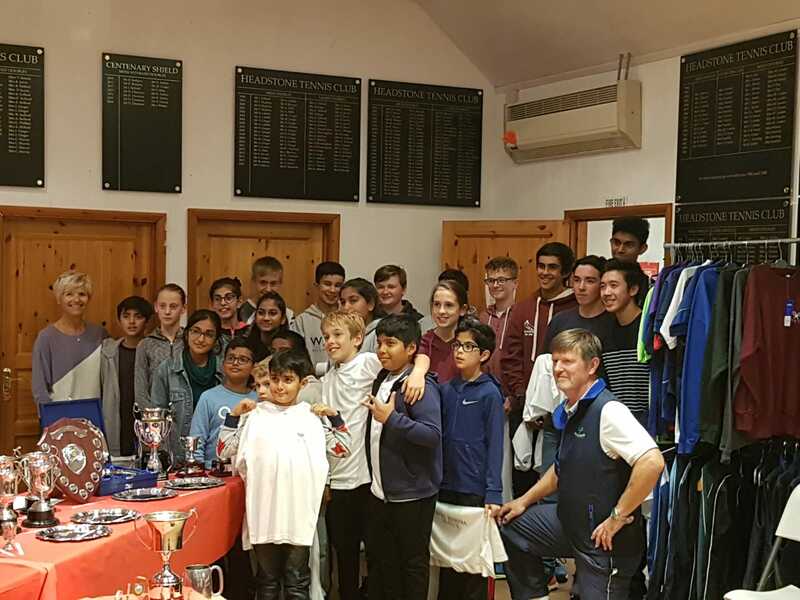 After Headstone’s famous BBQ, the hard work and effort put throughout the tennis season was rewarded with the winners of all the tournaments were celebrated. Congratulations to all who took part in all the competitions and the winners of the various categories are listed below. The tennis continues during the winter with Social Tennis and Winter Leagues in full throttle. It could be your name in shining lights next year, so get on practising on the courts! Share the post "2018 Headstone Tennis Club Awards Evening"
Tennis on and off the courts!